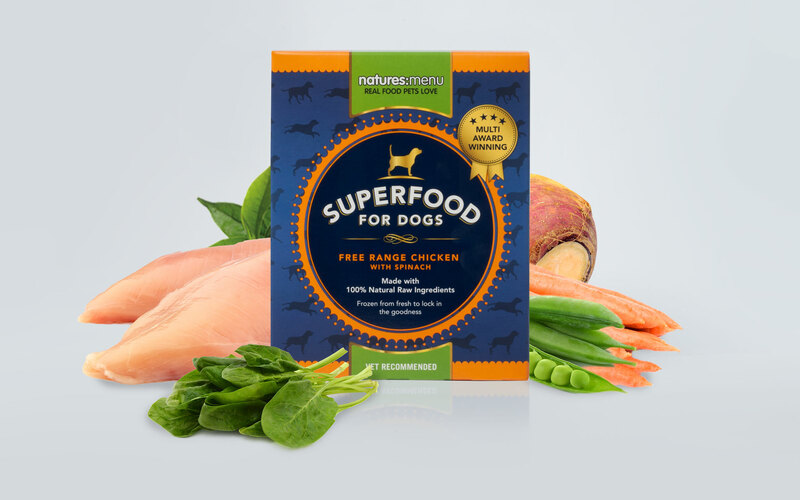 Natures Menu needed something for the posh pooches out there and we were more then pleased to help out. 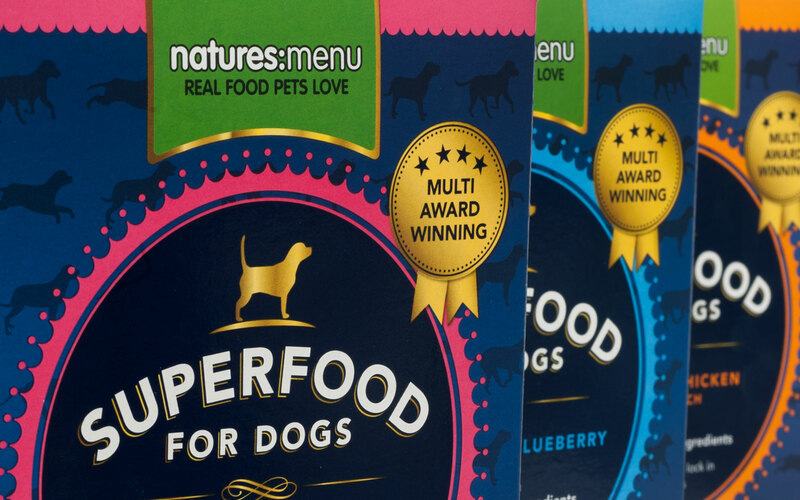 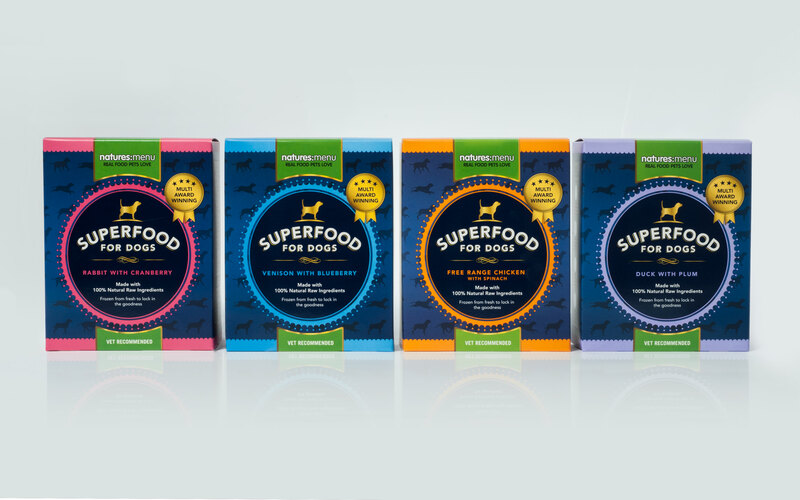 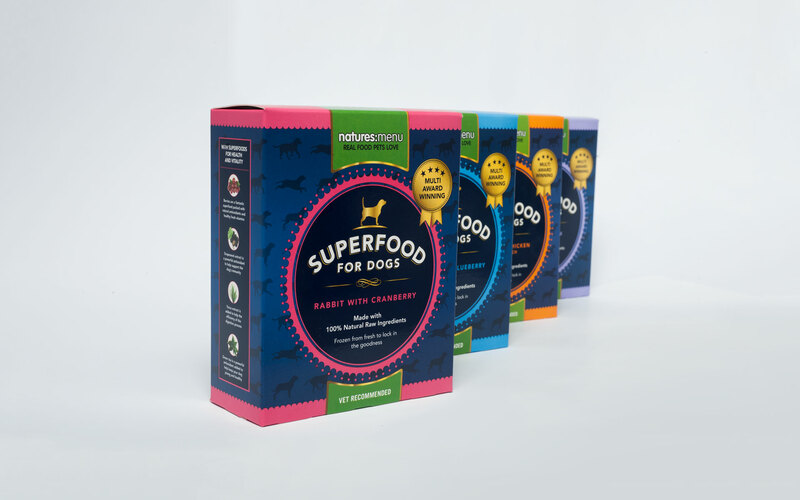 The brief was to create a packaging range under the Natures Menu umbrella that would be stocked in high end ‘Pet Boutiques.’ We took the term ‘Superfood’, which is being used more and more in human food marketing, and created the dog’s equivalent. 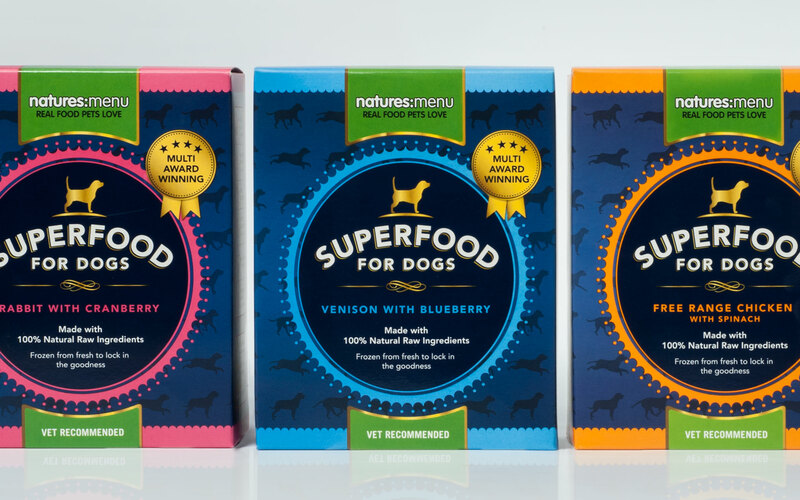 Using navy blue as a backdrop to help the flavour colours jump of the packs, we created a luxury look and feel for the new range that no dog lover could refuse as a special treat for little Rover!